Look into mirror and say “, I am the best”. Look into your eyes in the mirror while you say this. Initially, you may find it difficult to do but with the passage of time you will be able to feel the word BEST in your every cell of the body and you will perform BEST in everything you do. I recently stopped practicing this, because of being stuck in a tight schedule (which is no way an achievement). What I realized is that I started to underestimate myself. An amateur qualifies as Black belt in Martial arts after training for an average of five years. I qualified for black belt within just two years. This was because I had the talent and discipline to grab everything I was taught. And of course a great partner -Raghav Gupta, who was a tough competition and made me to go for tougher challenging things. Yesterday, I had some thoughts of underestimating myself. 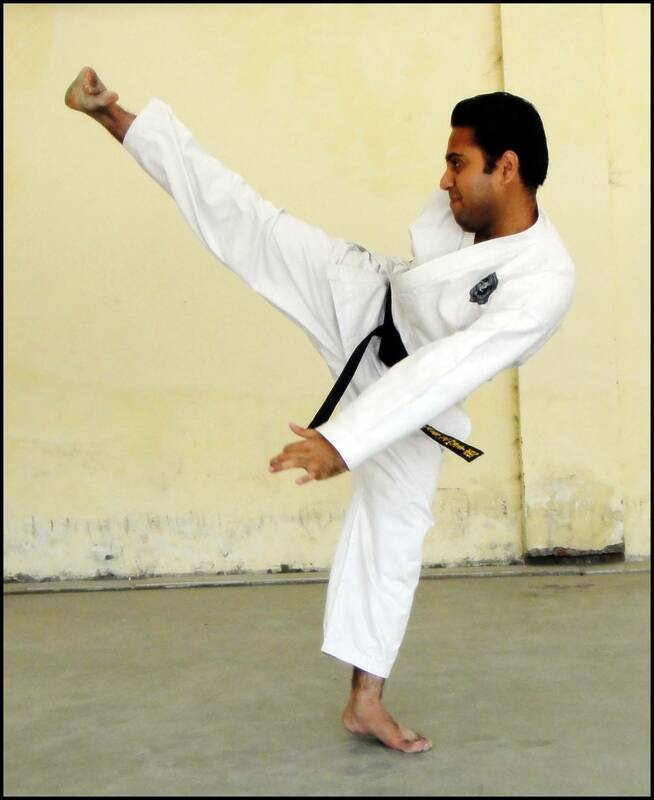 I felt like as I have qualified for black belt in two years so I lack the talent of three years. But in reality, it is not how it seems. I looked at my picture (which was clicked yesterday) and realized that I was only underestimating myself. An average person should be able to kick up to his head level. But when I saw this picture, me and my trainer were taken aback. I just kicked above my head level. A single line to conclude: Never underestimate yourself. You can do more than you think you can, all you have to do is just TRY. Previous Post Even experts do mistake!